Growing together with this group has been a wonderful experience. We have seen the harsh realities of Hebron, walking through streets filled with soldiers, and hearing stories of what it means to live under occupation. 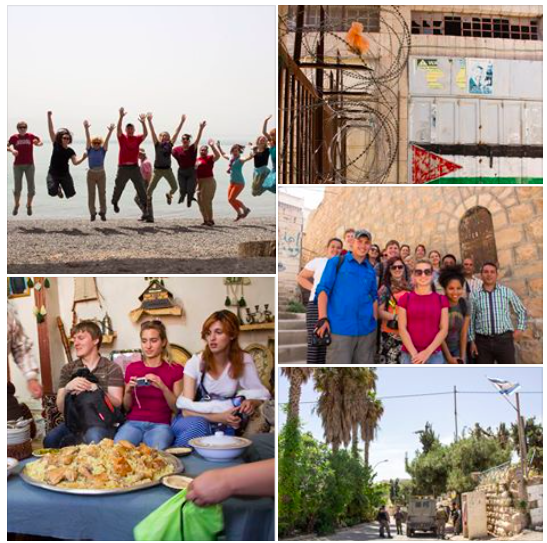 We have traveled to Galilee to see holy sites and ponder on the meaning of holiness. Tomorrow we will visit Yad Vashem, the Holocaust museum, and end the day in Bethlehem to stay in Palestinian homes for the next few nights. So much to soak in, so much to learn. We continue to grow together as we talk about issues of injustice, and share stories of our faith. Thankful for a group of young adults who are wanting to engage and accompany the people here, listening to the realities of the land.